The Hawker Beechraft King Air 200 is a fantastically versatile aircraft. With the King Air line having been in production since 1972 the model has undergone continuous improvement it’s since launch. 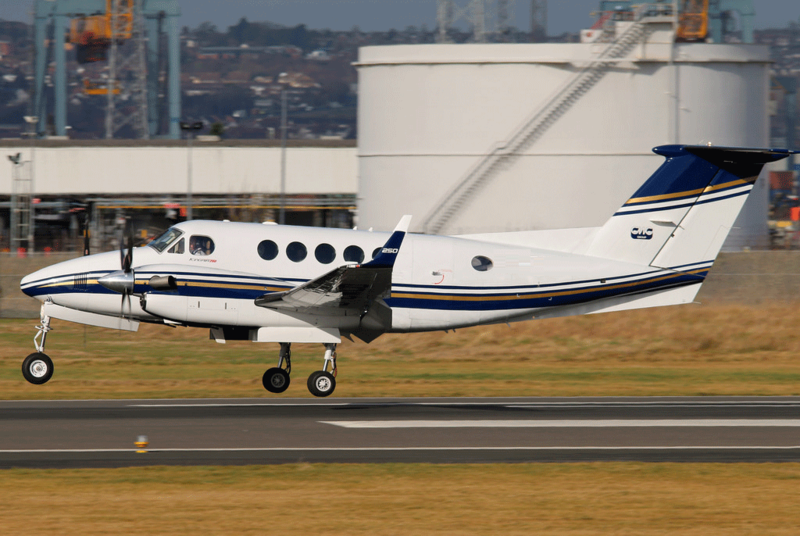 The King Air 200 will typically seat 6-9 passengers depending on configuration and can travel up to 3 hours non stop. Versatility is a key principle of the King Air 200, able to take off and land on short strips and with a large cargo style baggage hold in the rear of the cabin, the King Air 200 is perfect for a variety of roles in addition to being a comfortable charter aircraft.